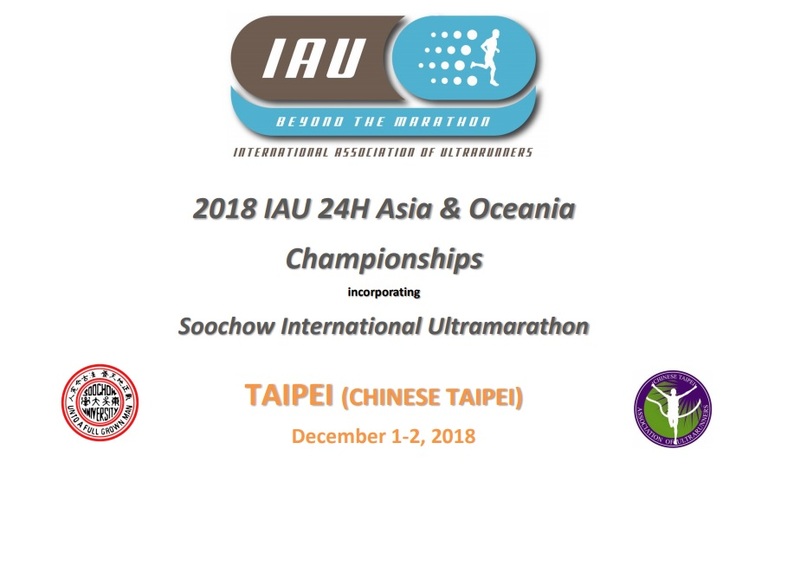 IAU Asian and Oceania 24H Championships. Soochow, Chinese Taipei, 1-2 December 2018. The General Information Sheet can be found here and the entry forms are due in on 16th September for the Preliminary Form and 14th October for the Final Entry Forms. We are looking forward to an excellent championships in Soochow.